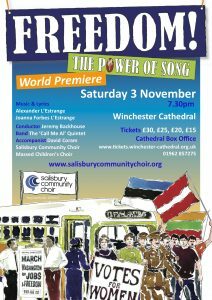 The choir had a very busy last few months in 2018, with a major concert in Winchester Cathedral, on November 3rd, when we sang a work we commissioned from Alexander & Joanna Forbes L’Estrange entitled ‘Freedom’ The Power of Song. The full choir were supported by 70+ children from local schools and a band. 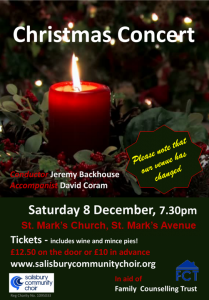 The Cathedral was full, and aside from an exciting and very enjoyable performance, £1096+ was raised for the charity Naomi House & Jack’s Place.